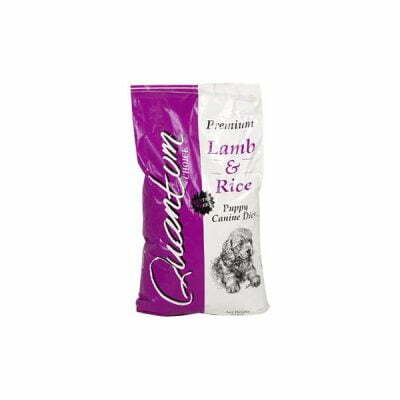 Nutritionally complete in every respect, Quantum Choice rich in oil for healthier skin and coat. 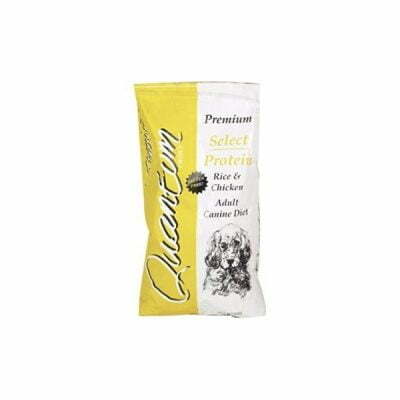 Free from wheat gluten, soya, beef and dairy products, it’s highly digestible ingredients help to reduce your dog’s stool volume Rice & Chicken Adult Canine Diet is a well-balanced food made with a single meat protein (chicken) and a single cereal protein (rice). 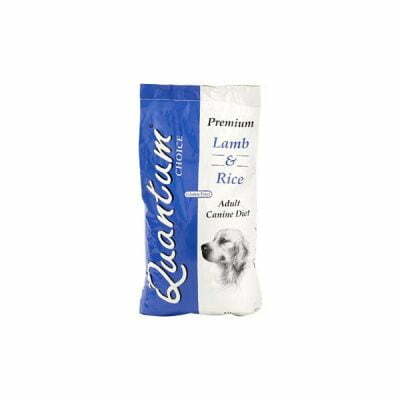 This simple selection of ingredients is thought by some vets to be the perfect ‘hypoallergenic’ food. 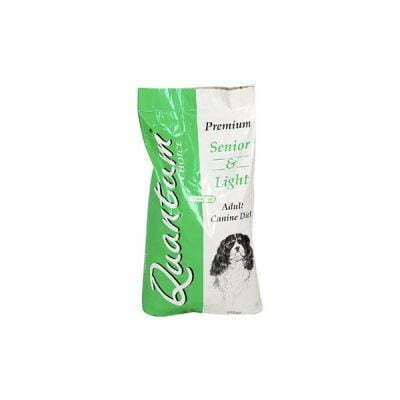 An ideal choice for dogs with food related sensitive skin conditions.